Kangertech has delivered their all-new and significantly improved Aerotank Mega for review here at Vape On Watt Reviews.This has been a much-awaited product launch and talked about in the chat rooms & forums over the last few months before its official release. I’m pleased to say that people are going to be somewhat impressed, both by its design features, and incredible performance. The first thing that struck me even before I opened the outer wrapping, was the clean design of the box, the easy to understand quick start guide on the back, and most importantly of all, their new authentication sticker and the product security code online verification system printed onto the side of the box underneath the cellophane wrapping. To check the authenticity of your new Kangertech product, just apply a droplet of water to the Kangertech Logo, and it should disappear. Dry the wetted logo with a cloth and it will reappear again. Kangertech also included a sample of the authentication logo on a sticker inside the box. These two methods will help you confirm that you have purchased a legitimate Kangertech product rather than the all too familiar cloned copies. Also please be sure to check the warranty period should it be included with this device before purchasing. The Kangertech Mega comes complete with One Aerotank Mega fitted with the Pyrex glass body, and one food grade stainless steel tube, both of which are designed to be interchangeable holding 3.8ml each. One 510 drip tip, and Two 2.0 ohm upgraded dual coil atomizer heads. 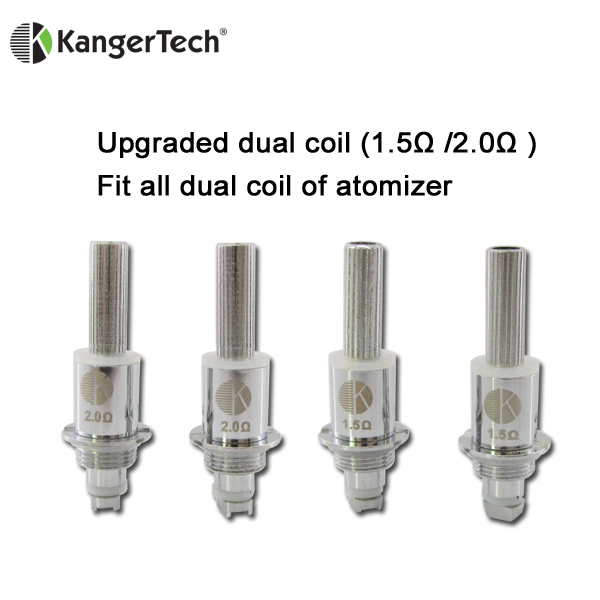 Kanger also supplies their upgraded dual coil atomizer heads in 1.2ohm & 1.8-ohm configurations respectively. Also, One 510 threaded beauty ring has been included, and a small easy to follow instruction booklet. The overall length is 70mm with a diameter of 22mm, and an overall weight of 110g. The R&D team have Clearly spent many late nights working on a new replacement head design from the one they have been using for some time now, along with the inclusion of a Version 2 Airflow control valve. The overall aesthetics of the new Mega are appealing to the eye in both the glass and stainless finishes. The inclusion of an all stainless steel tank is a very nice addition, constructed from 404-grade stainless steel, adding to the solid look and feel of it. By clearly hoping to cater for all tastes in this new design, Kanger has included five different colored variations on their website for the Glass Pyrex finished version as well. These include Clear, Gray, Blue, Red & Purple, and Green. So I feel sure there will be something to suit most people’s individual preferences. The air control ring is another smart, and useful addition that allows for balanced adjustment of the air intake as this is a bottom fed tank. The airflow ring is situated just above the thread for unscrewing or attaching the tank to a device, you will be pleased to know that Kanger has made the control ring smooth but firm, so slippage is unlikely to occur. 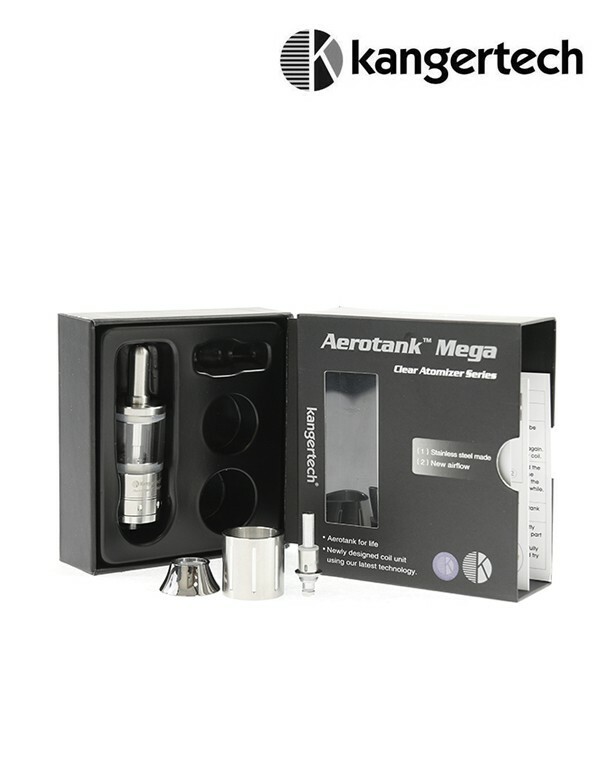 For the purpose of this review, I attached the Aerotank Mega to my Provari V2.5, and the Innokin iTaste 134. Looking very nice on both with a snug fit! I also vaped for the majority of this review between the ranges supplied in this chart, and occasionally going slightly above using E-juices from the Rehab and R&D Creation ranges. After two or three really good inhales & exhales I noticed my partner disappear in a cloud of vapour, which at times is not such a bad idea! Kanger has developed a real winner with this model. 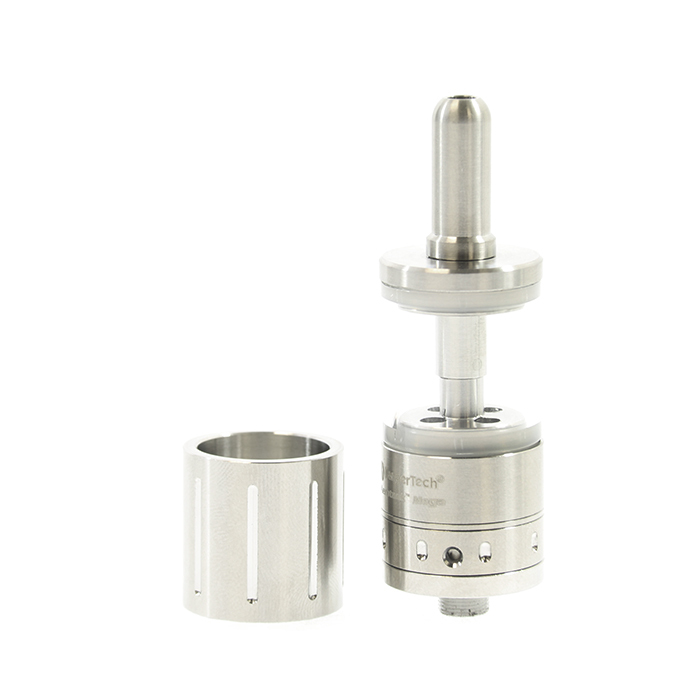 Flavour reproduction is excellent, and you will be pushed very hard to tell the difference between the Aerotank Mega and a more expensive RBA, which says a great deal for the technological advances made in this new clearomizer design. 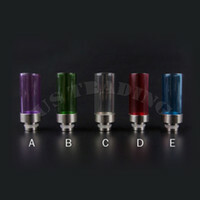 Also, the drip tip supplied is very comfortable to vape with and has a good size bore hole. An important consideration to make when you realise that this is the primary human interface to the tank, so comfort here is paramount. Kangertech has pushed the envelope even further with the introduction of their all new Aerotank Mega with its new design features, redesigned coil, build quality, and stylish appearance. Even the threading on this tank is silky smooth. Vapour production is excellent, and the flavour reproduction up there with the very best on the market at the time of writing this article. 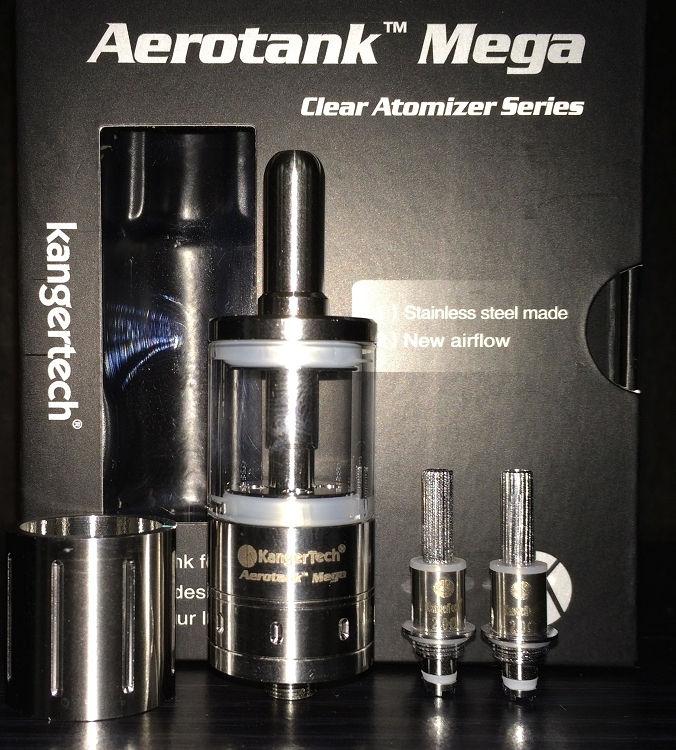 Quite simply, you cannot fail to be impressed by the performance of Kangers Aerotank Mega. You will find it hard or nigh on impossible to obtain a tank of this quality without having to re-mortgage the house, and all with the satisfaction of knowing you own an original product, not a Clone! Price range is currently around the £30.00 sterling US$ 40.00 mark. This includes the interchangeable Stainless steel tank as well. For further details on this product, and to enter your unique product security code to identify its authenticity, contact Kangertech directly or your nearest stockist. made. When you stop smoking, the metabolism goes back down, so you mayy notice a slight increase in weight. Find out how to quit easily, safely, naturally with an extremely effective quit ssmoking program at.